Police investigations are continuing after two people were seriously injured in a road crash near Clachan of Campsie. The accident involving two cars happened around 1.15pm on Monday, August 15 on the A819 near Strathblane. Officers said emergency services attended and a 16-year-old boy and a 55-year-old man were taken to the Queen Elizabeth University Hospital in Glasgow. A 27-year-old man and a 27-year-old woman were taken to the Glasgow Royal Infirmary for treatment and later released. The road was closed and did not reopen to traffic until the following day, Tuesday, August 16 at 1pm. 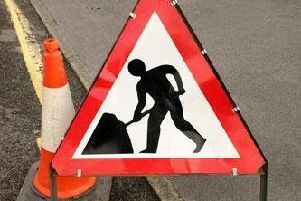 At midnight on Tuesday, August 16, East Dunbartonshire Council’s Facebook site posted: “The A891 Strathblane Road is closed between Haughhead, near Clachan of Campsie, and Blairtummock Cottage, near Strathblane, following a road traffic accident. Police and Council roads officers have been in attendance and there is no access in either direction. The section of road is likely to be closed until at least 10am.